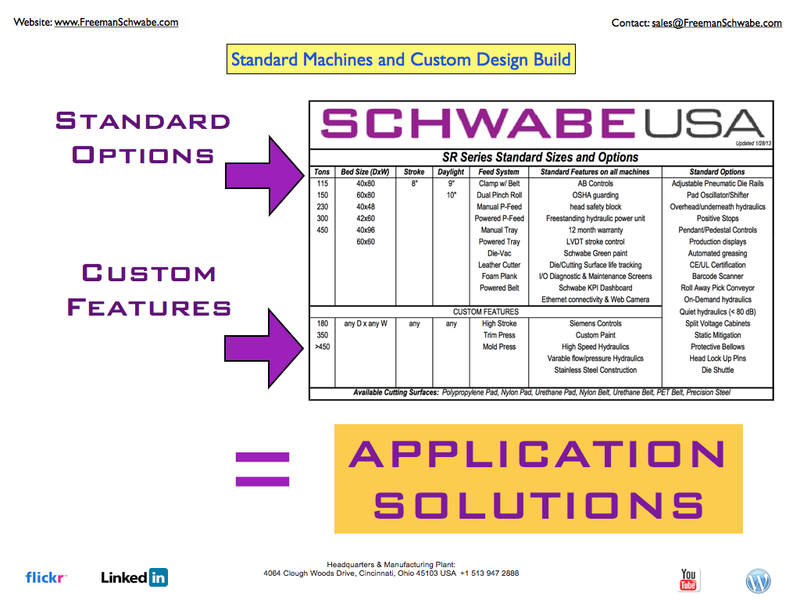 ← SCHWABE USA Straight Ram (SR) for Quality 3D Compression Molding. The Luxury Vinyl Tile (LVT) market category continues to grow market share in the Floor Covering market place in both commercial and residential, due to its quality, design choice, being waterproof and easy installation. This is good news for LVT manufacturers in USA including Interface/Flor, Mannington, Shaw, Tarkett, Armstrong . 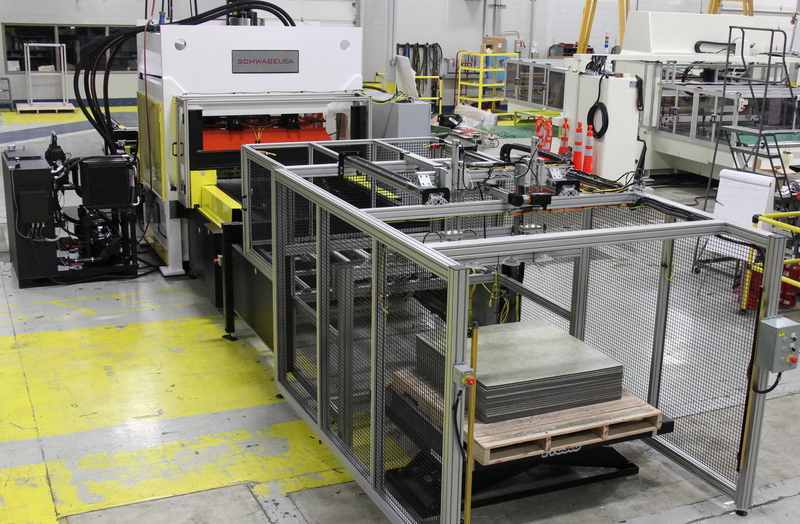 It is also good news for Freeman Schwabe and specifically SCHWABE USA machines which developed a specific innovative die cutting press for the production of luxury vinyl tiles. SCHWABE USA is based in Cincinnati, Ohio and is world renowned for its Standard Presses and Custom Designed die cutting equipment. This entry was posted in Floor Covering, Luxury Floor Tiles cutting press and tagged Cutting vinyl tiles, Floor Covering, Luxury Vinyl Tiles. Bookmark the permalink.